Endless things to see and do in Dorset. This is the perfect place to enjoy a luxury countryside holiday! Dorset offers an incredible number of things to see and do and Milton Abbas is right in the centre of it all! 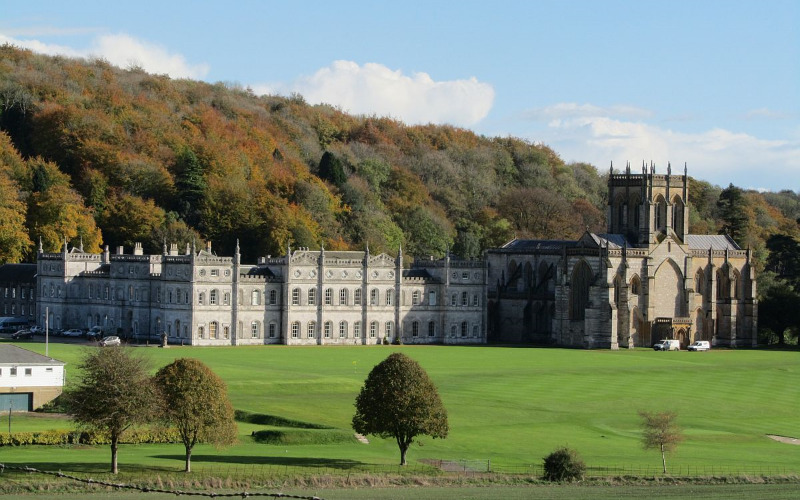 Now a boarding school, the abbey and estate were built by the 1st Baron Milton. Capability Brown designed its garden including a lake where the village was back then. Milton Abbas as we know it today with its identical cottages was built to house the villagers. Relax at the bar and enjoy a range of local ales. They serve excellent food using local suppliers and offer a range of fine wines. The magnificent white cliffs record 185 million years in rock laid out along the 95 mile stretch of coast between Exmouth in East Devon and Studland Bay in Dorset. Corfe Castle was built for King Henry I, William the Conqueror’s son. Since then it’s seen its fair share of battles, mysteries and plots. It’s been a treasury, military garrison, royal residence and family home. Known for its natural hot springs and 18th-century Georgian architecture, Bath is also brimming with things to do and has a fantastic city centre, where you can shop until you drop. Speculation on the reason it was built range from human sacrifice to astronomy... Stonehenge is one of the best-known prehistoric monument in Europe. But there's more: also check out the Avebury complex some 25 miles from there. This medieval cathedral city is known for its ornate 13th-century cathedral and the Magna Carta. But it also boasts shops, festivals and Charter Market twice a week. Don't forget to visit nearby Old Sarum, the city's predecessor. One of the oldest and highest towns in England. Visit the country market on Thursdays or the Farmers market the 1st Saturday of the month and enjoy the views from the Mitre's rear terrace along the High Street. One of Dorset's most beautiful towns. With its abundance of medieval buildings, superb Abbey, picturesque Almshouse and two Castles, Sherborne has much to offer. Is it an ancient symbol of spirituality or a mockery of Oliver Cromwell? Local folklore has long held it to be an aid to fertility... It's not unimaginable. Combine your visit with lunch or a pint at one of the village's lovely 16th century inns. Both Langham's and Furleigh's sparkling wines are classic-style, and have won international gold medals and trophies. Go for a guided tour finishing with a tasting. Langham's 15 minutes drive away, Furleigh's 55 minutes. A short walk from the bottom of Milton Abbas lies Steeptonbill Farm, home to a variety of animals from rare Portland Sheep, chickens and guinea fowl to pigs and goats. Pop by to see the animals or the farm shop, open five days a week. Opened in 1987, this grand park has grown into a safe haven for primates with beautiful outdoor spaces and a superb playground. 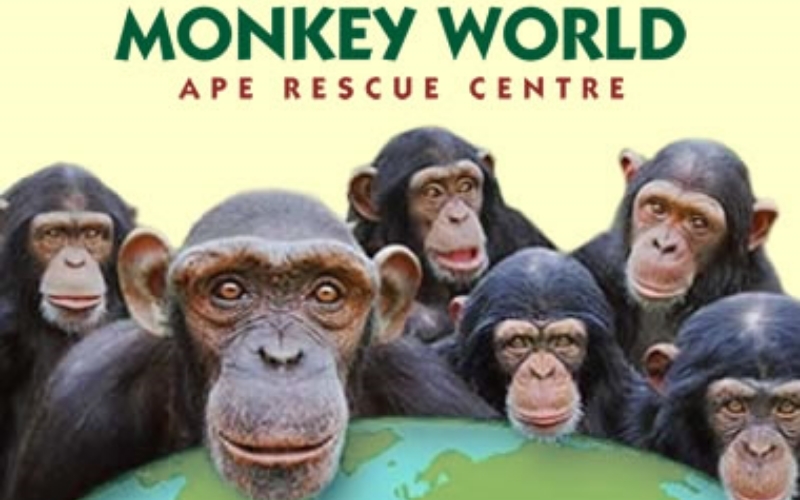 Open every day, a guaranteed success for all 'little monkeys' and only 25 minutes by car. The Tank Museum brings the history of tanks and tank crews to life, supported by the world's best collection of tanks, and action packed live displays during the school holidays. Open every day and getting there in a 25 minutes drive. Come face to face with hundreds of creatures – from otters, rays and clownfish to sharks, piranhas and crocodiles! – and discover the world’s waters under one roof at the Oceanarium. Only 45 minutes away from Three Little Pigs. Join a car ride with Daddy Pig or take a flight on Miss Rabbit's helicopter. Also plenty of entertainment for older siblings and parents since it's part of Paulton's Theme Park. Get there in just under an hour. 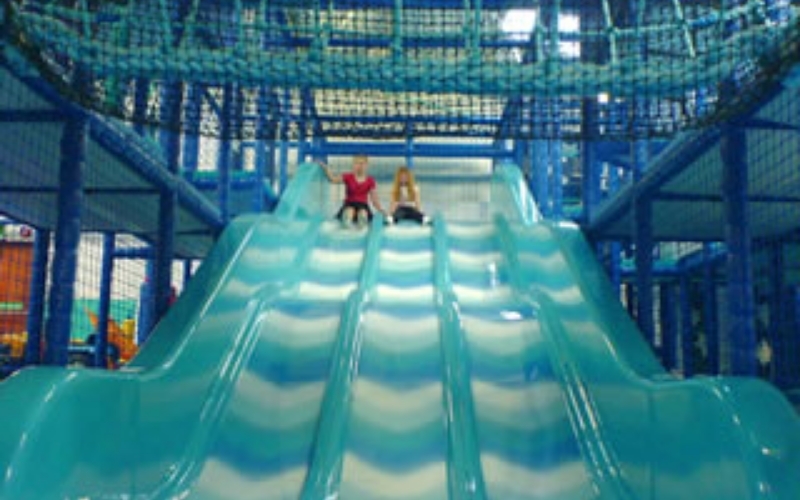 Blandford Leisure Centre offers water fun and Crazy Monsters for great adventure soft play with a separate 2 tier toddler zone. Coolplay Indoor Soft Play Centre in Sturminster Newton offers inside & outside features such as multi-level soft play, trampolines, sumo wrestling, and pedal karts! Swanage Railway lets you experience a unique journey through six miles of beautiful scenery passing the magnificent ruins of Corfe Castle, travelling down to the blue flag beach at Swanage. Services run several times a day and take 25 minutes. This farm park is packed with farm-related attractions including lots of cute and friendly animals! There's a mix of indoor and outdoor play giving all the benefits of fresh air and exercise, whatever the weather. Book your full golf trip with Golf, Sleep & Play! The Dorset, Bulbury Woods, and Wareham to name a few; and in under 40min the amazing course of Isle of Purbeck! Green fees starting at around £20 during the weekend. From clay shooting, archery and paint ball to quad bike riding and dirt buggies, Gorcombe offers a great day out. Only 10 minutes away by car on the way to Blandford Forum. Experience the beautiful hillside or coastal scenery on a bike. 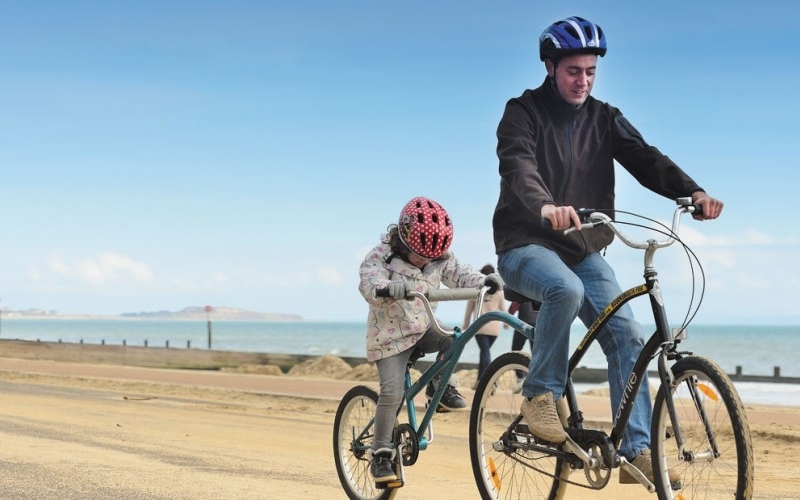 Children can rent their own bikes or tag along! Check out the various cycle shops with route suggestions and book online at Cyclex for example. The Jurassic Coast is best observed from the sea. From a tranquil kayak, as a family outing on a rib or blasting on a jetski. There are a number of companies offering these experiences along the coast closest to the Three Little Pigs. Visit one of Go Ape! 's leafy hideouts at Moors Valley Country Park for some adventurous woodland play and cycling trails. It boasts a double Tarzan Swing and features Forest Segway tours and Tree Top Junior for children. Try or refine your ski or snowboarding skills at Warmwell Leisure (20 minutes by car) or Snowtrax (40 minutes). Toddlers can go riding the Ski Bobs (little ski trikes) or spinning down the slopes in a Ringo (tube). There are also trampolines, swings and a fort.